In "Milky Way," an art installation crafted from recycled plastic milk jugs, artist Weiling He, an associate professor of architecture at Texas A&M University, shows how "design and labor can transform common household waste — the ugly — into the beautiful." 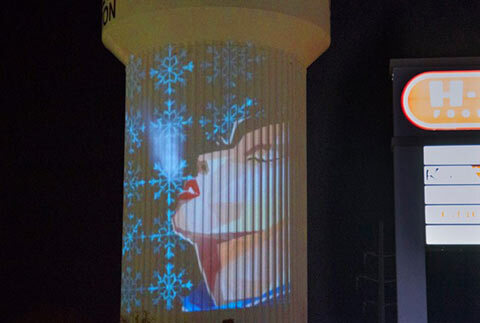 The piece will be displayed at the Brazos Valley African-American Museum through January 2016. 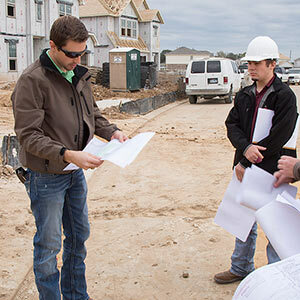 Leading by example, four former students of the Texas A&M College of Architecture have made generous commitments, creating three professorships and a new fellowship to support a promising residential construction educator. 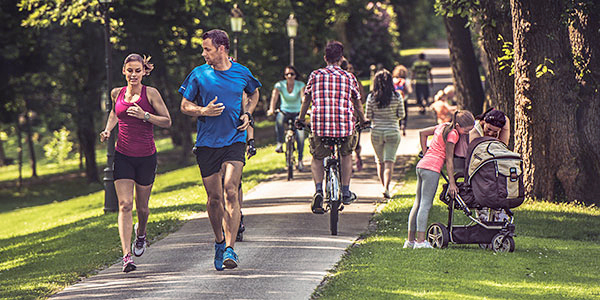 Can moving to an activity-friendly neighborhood enhance the health of previously sedentary residents? That's one of many questions at the intersection of public health and the built environment to be considered by Texas A&M researchers in a $2.7 million National Institutes of Health active living study. 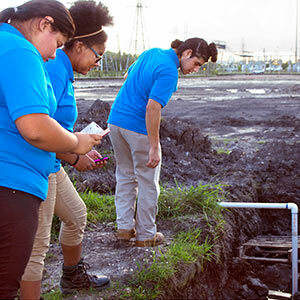 A group of students who attend Furr High School, which serves an east Houston industrial area prone to air pollution and flooding, are gathering local environmental data with help from Texas A&M urban planning faculty and graduate students. The characteristics of new "smart" materials that could harvest energy, water and air when embedded in a building's exterior are the focus of a National Science Foundation-funded study undertaken by architecture and engineering researchers. 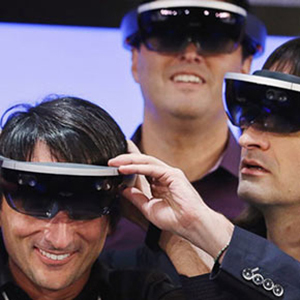 The ability to see and hear beyond the spectrum of human sensitivity could be granted to those who don a Microsoft visor equipped with new software created by two visualization faculty members at Texas A&M University. 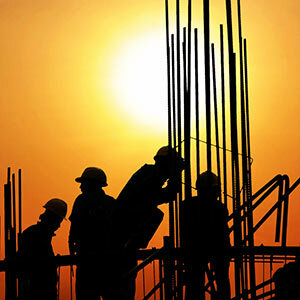 Undersized technology budgets in the construction industry are responsible for a lack of industry innovation, poor "cloud" security and other problems, according to a report based on a survey developed in part by two construction science faculty members. 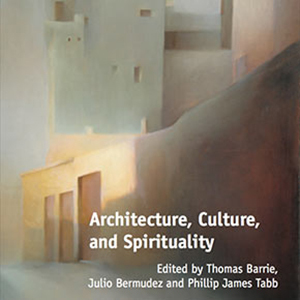 A book of essays co-edited by Phillip J. Tabb, professor of architecture, challenges designers to consider spirituality as an everyday part of the world, rather than as an concern primarily limited to the design of buildings for organized religion. Construction science student Nathan Honsaker works on the BUILD project. 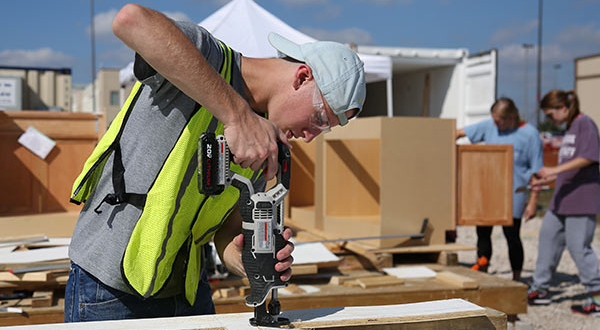 Volunteers for BUILD, a service organization led by Texas A&M construction science and environmental design students, converted four shipping containers into mobile medical clinics to serve remote, impoverished areas of Africa and Central America, and aid Syrian refugees in Greece. 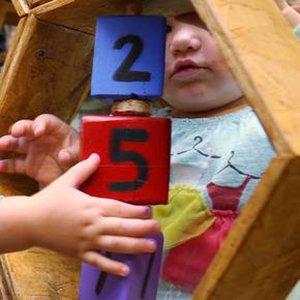 When it's playtime for children at the St. Thomas Aquinas Child Development Center, they'll be able to frolic on four new portable play structures designed and built by architecture students from Texas A&M. 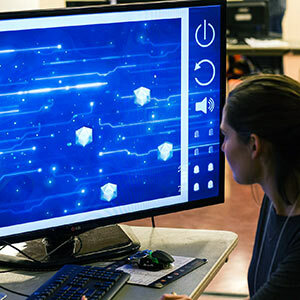 Budding student video game developers from universities across the nation gathered on the Texas A&M campus for "Chillennium," a 48-hour video game-building competition hosted by the Department of Visualization's LIVE Lab. 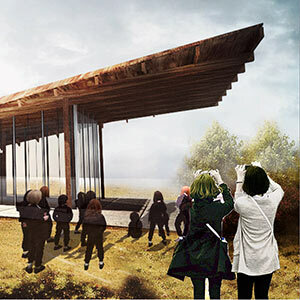 An almost empty lot near downtown Bryan, home to two of the city's oldest buildings, is transformed into a new, versatile community center by Texas A&M graduate architecture students as part of a design competition to revitalize an underused area of the city. 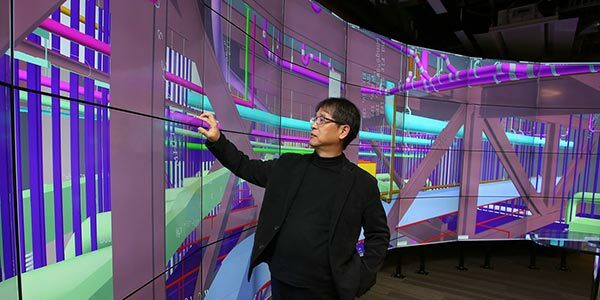 Julian Kang demonstrates a Kyle Field BIM model. 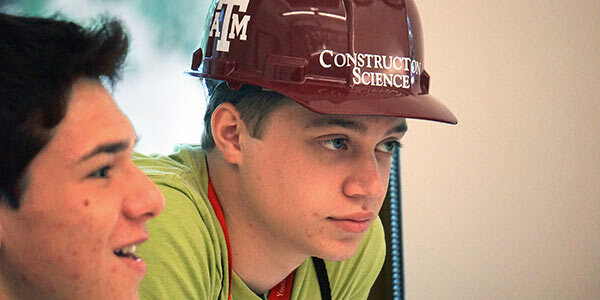 Futuristic, immersive journeys through and around virtual 3-D buildings created by Texas A&M construction science students highlighted final reviews for a fall 2015 building information modeling class led by Julian Kang, associate professor of construction science. 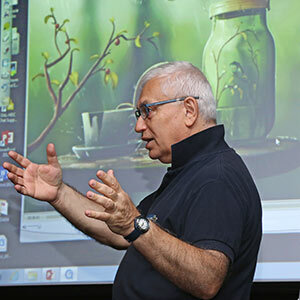 The 3-D renderings, created using BIM software, were showcased in Francis Hall's new state-of-the-art computer-aided virtual environment, or BIM CAVE. 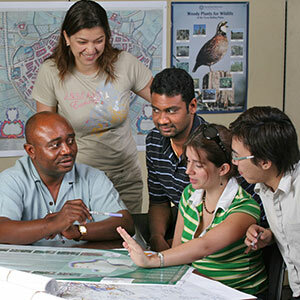 Employers looking for graduates with the nuanced cultural knowledge and skills to successfully operate in a diverse world can seek those who have earned the new Diversity Certificate offered through the College of Architecture and the Department of Multicultural Services. 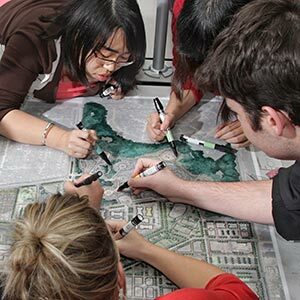 Texas A&M's landscape architecture programs were once again ranked prominently in an annual report on the nation's best design programs compiled by the Design Futures Council, a global network of design professionals. Buses loaded with upper-level construction science students fanned out across the state Nov. 13, setting a field day participation record while providing students with views of the latest construction, material production and manufacturing practices. 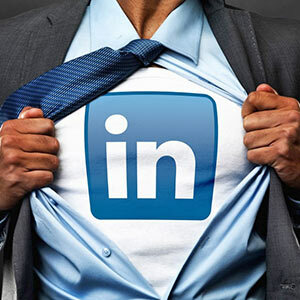 A rapidly growing group of professionals from the construction industry and related fields have found a valuable resource in the LinkedIn group managed by the Department of Construction Science at Texas A&M University. 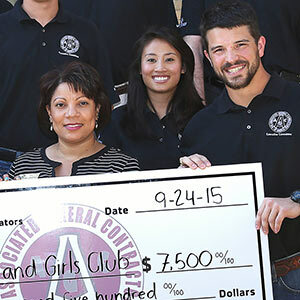 David Bilbo recently earned an educator award from a national constructors group. 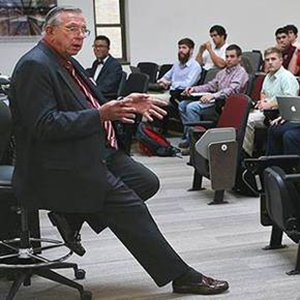 Decades of excellence as an educator and researcher at Texas A&M earned David Bilbo, professor of construction science, the prestigious W.A. 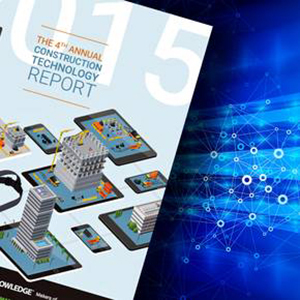 Klinger Construction Education Award from the American Institute of Constructors. As vice president of research and information for the Landscape Architecture Foundation, Forster Ndubisi, head of the Department of Landscape Architecture and Urban Planning, guided development of two projects recognized at the November 2015 ASLA national convention. For heading a range of academic activities that include leading students' development of natural interactions between people and computers, Jinsil Hwaryoung Seo was recognized as a Montague-Center for Teaching Excellence Scholar. 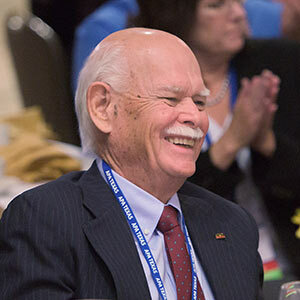 For extraordinary contributions to urban planning practice and education spanning decades, David Pugh, Texas A&M associate professor emeritus, received a Legends Award at a state planning group's annual conference. 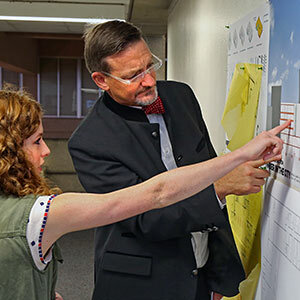 Teaching excellence, inventiveness, and dedication to sustainability were cited as the top criteria for including Charles Culp, Texas A&M professor of architecture, in an online list of top-10 heating, ventilation and air conditioning systems educators. 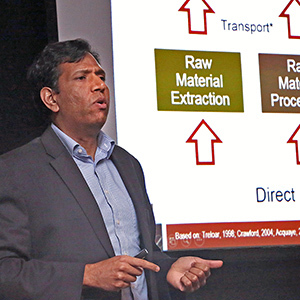 For exemplary service reviewing scholarly articles in Facilities, a journal covering topics of interest to facility managers and architects, Manish Dixit, assistant professor of construction science, has been selected as an outstanding reviewer by the journal's publisher. 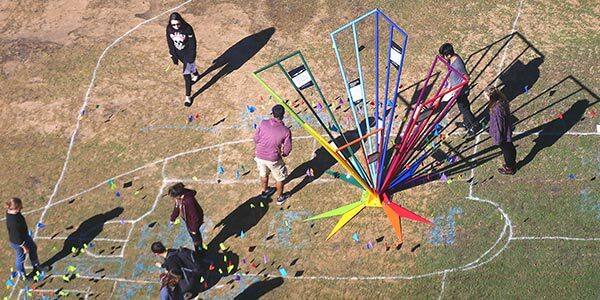 People place flags representing their emotional experiences on a giant East Quad map. As part of Texas A&M's annual Geographic Information System Day activities, the public helped Austin artist Jennifer Chenoweth create a geospatial record of the region's emotional topography -- a map showing where twin city denizens experience emotional highs and lows. 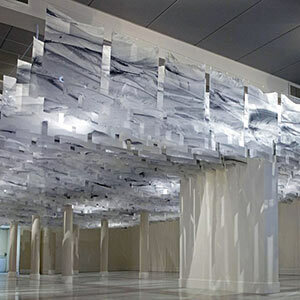 A large-scale installation made of approximately 1000 laser-cut acrylic pieces by Austin artist Beili Liu will be erected Jan. 25 - Feb. 24, 2016 in the Wright Gallery, located in the Langford Architecture Center's Building A on the Texas A&M University College Station campus. 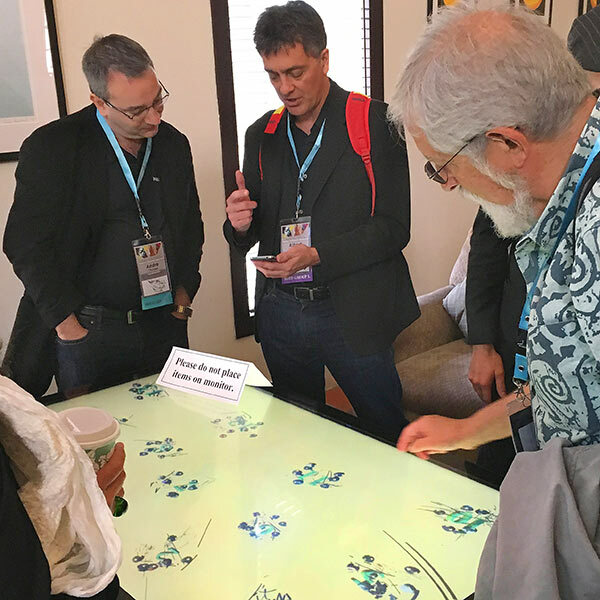 A national event focused on the nexus of art and science attracted influential leaders from both worlds, including Carol LaFayette, a professor of visualization and head of the National Science Foundation's Network for Sciences, Engineering, Arts and Design. 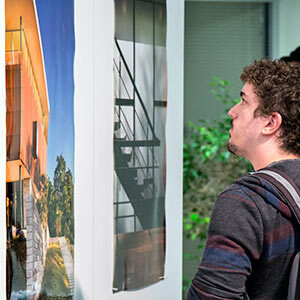 The award-winning residential designs of Alterstudio Architects LLP are showcased in "6 Houses," an exhibit running through Jan. 19, 2016 in Wright Gallery, located on the second floor of the Langford Architecture Center's Building A on Texas A&M University's College Station campus. Students from the Rio Grande Valley tour a construction site during Camp ARCH activities in summer 2015. 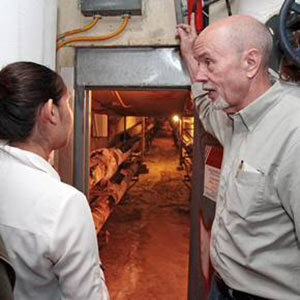 Students from predominantly Hispanic South Texas high schools will have an opportunity to learn about careers in construction management at a free U.S. Department of Education summer program designed and led by construction science professor Edelmiro Escamilla. Futurist, architect and structural engineer Chris Luebkeman, director of the Global Foresight, Research and Innovation team at Arup, a renowned global design, planning, engineering and consulting firm, presented the 2015 Rowlett Lecture, "Apex of Architecture: Designing on a Social Conscience." 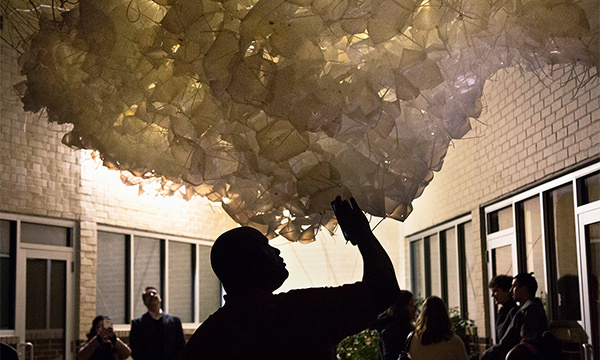 The Texas A&M College of Architecture’s 17th annual faculty research symposium, “Natural, Built, Virtual,” took place Oct. 19, 2015 at the Langford Architecture Center on the university's College Station campus. 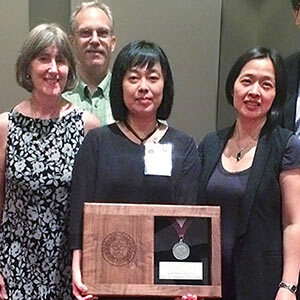 The 2015 College of Architecture Outstanding Alumni were recognized last October. Nominations for the 2016 College of Architecture Outstanding Alumni Awards are due by March 1, 2016. 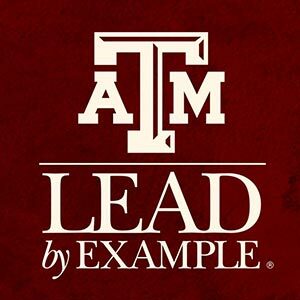 "This award recognizes the exemplary leadership, relentless pursuit of excellence, exceptional talents and numerous accomplishments of the recipients," said Jorge Vanegas, dean of the Texas A&M University College of Architecture. "We strongly encourage those who know a former student deserving of this prestigious honor to nominate him or her." 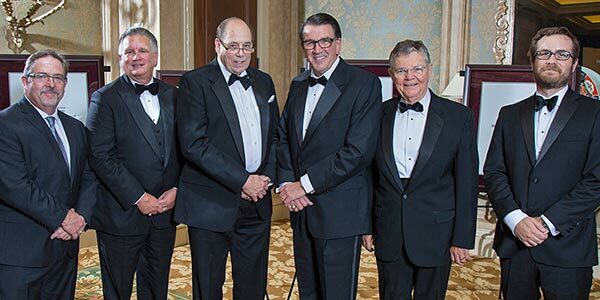 A firm led by Adrian Smith '66, an outstanding alumnus of the College of Architecture, heads a ranking of the nation's top architecture firms compiled by the American Institute of Architects. 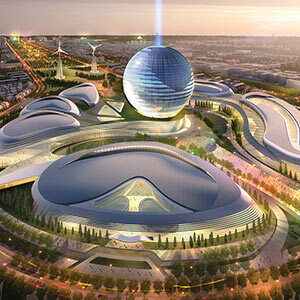 Smith is co-founder and principal of Adrian Smith + Gordon Gill Architecture. 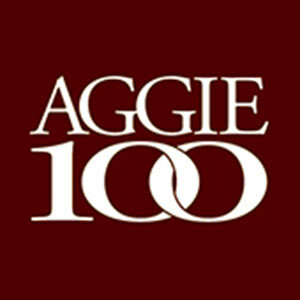 The 2015 Aggie 100 list of the fastest-growing companies owned or led by Texas A&M graduates includes eight businesses headed by graduates from the College of Architecture. 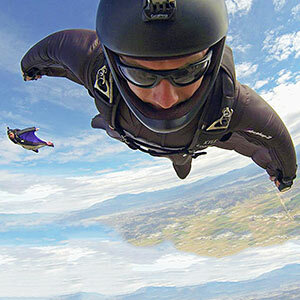 Former student and U.S. Marine Kyle Lobpries is one of the world's best at wingsuit flying, an extreme sport in which people "fly" to earth from an airplane or mountain perch wearing a wingsuit and a parachute that is deployed at the end of the "flight." 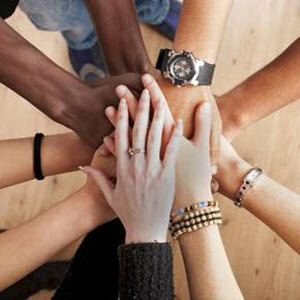 The College of Architecture encourages former students to submit news items for the Class Acts section of the arch|one e-newsletter. This section highlights professional achievements, as well as news about marriages, births, retirements, bucket list accomplishments or whatever else former students care to share.